Clip, scoop and revive with the Jarware Coffee Spoon Clip! 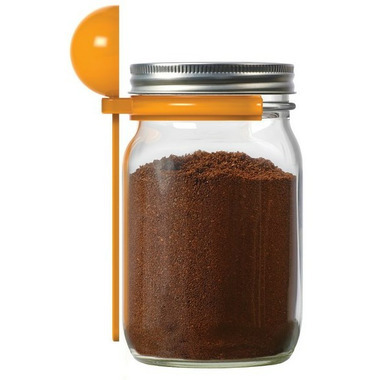 This mason jar accessory help you create coffee faster, by always keeping your spoon handy. Cute and handy spoon! Clips right to your jar of coffee beans/grounds and makes portioning things out super simple, plus you can't misplace it! 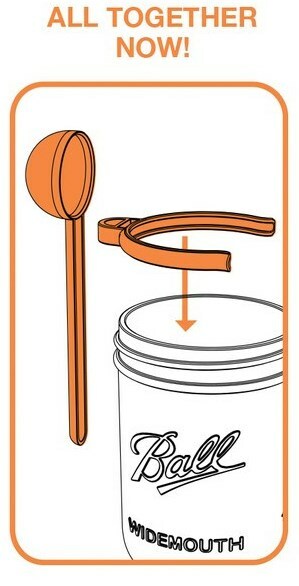 I love that this coffee spoon stays right with the jar, never to get lost. Great product! Very handy, I own at least 10! 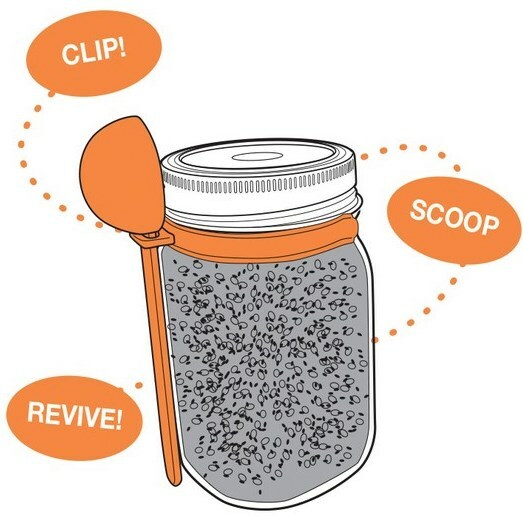 Love keeping all my smoothie add-ins and salad toppers in jars with these handy spoons. Love this product! Works great for my powdered peanut butter and loose leaf tea. Very handy. Bought this for stocking stuffers for my family too. I am not a big fan of candles in general but I always have a stash of tealights on hand for emergencies and being able to keep the tea lights dust free is a definite bonus! The top has a nice indent perfect for holding one tealight and keeping it safely elevated off of any surface. Love this scoop. What a great idea. It's the same size as the scoop I was using so that was handy (approx. 1 TBSP).